I first discovered this about myself right after college when I tried to read the latest Jackie Collins novel everyone was raving about. I could barely make it to the end without gagging. After years of studying the masters of American and world literature such as: Nathanial Hawthorne, Mark Twain, Ernest Hemingway, Eugene O’Neil, F. Scott Fitzgerald, Sinclair Lewis, John Steinbeck, Herman Melville, Henry David Thoreau, Charles Dickens, Shakespeare, Homer, Plato, Aristotle, Chaucer, etc., etc., etc., I found I was spoiled. It is obvious the author, Jon P. Gunn, had fun writing, playing with ideas and words, and occasionally teasing the reader along the way. 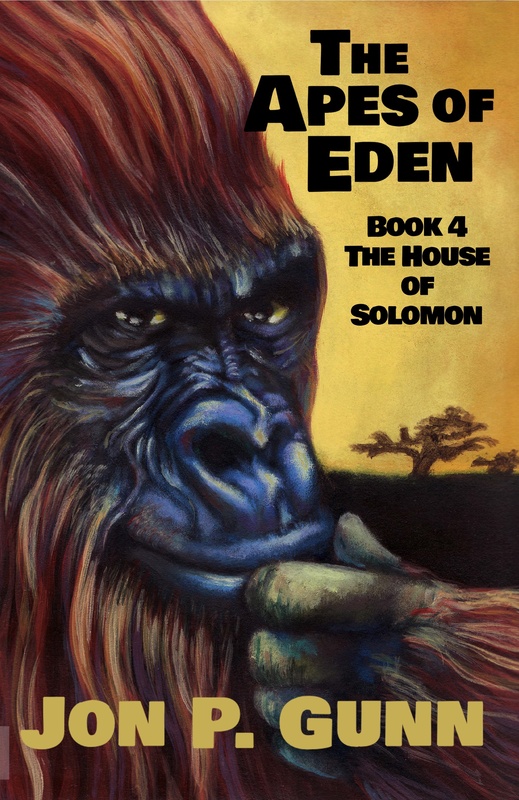 We see this on the title page which says: The Apes of Eden, The Journey Begins, as told by Literate Louis, the Scribe of the Tribe. I met my friend Sheila as a fortunate happenstance the morning after the Great Storm of 2012 that passed through Columbus that summer. 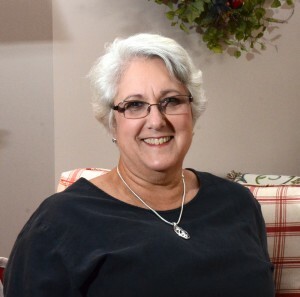 As her literary agent and website manager, I have encouraged her to finish her book to complete closure after the death of her husband and father very close together. Peach Cobbler for Breakfast, Surviving a Life-altering Experience, will be published early in 2014. Visit her blog at Notes from the Pond –Ed. Apocalypse of Castor – What has man done to the environment? and barren now than in the years gone by. or mountain forests cloaked with trees and brakes. such wooded highlands never did exist. as dreamery by some mythologist. though many of us saw this, in our youth. of anything the Tribal Archives say. I try to meet mythology halfway. of Beaverkind, in that forgotten age. their tribal books–yet some of them were wise. surprised a beaver, near his homemade lake. an enterprise which some consider odd. the ape demanded, javelin poised to throw. who had some ancient legends to relate. There’s one I think you might appreciate. to let me share this entertaining lore. in Nature veered it from its normal course. than God envisioned, when the world began. and everything that swam, or crept, or flew. their Scripture told them. ‘Multiply thy race. by dispossessing every other race. Unkillable, few humans ever died. remolding all the world to suit their wills. a challenge–something to subdue and tame. The rivers could be used for dumping waste. from natural landscapes humans so despise. with axe and plow, or steam and steel and fire. with cardboard, broken glass and rusty tin. were beautified with carved or painted glyphs. the humans saw them as a source of wood. they drenched such areas with acid rains. despatched unsightly flowers, grass and trees. To staunch the flow of rivers, dams were built. Dry channels filled with trash, dead fish, and silt. by filming them with tankerloads of oil. a yellow-gray unmarred by any bird. a sewer of every river, rank with swill. –or so their labors gave us to infer. existed to fulfill their ‘owners’ needs. as others’; beaver hats were just a fad. till species were extinct beyond recall. were locked in zoos, or massacred as pests. were all the choosy humans wanted saved. producing tender viands men preferred. or poached on settled lands, in quest of game. “Admittedly, all species have to eat. Are wolves unethical, who slay for meat? and left their victims rotting in the mud. some urgent steps, correcting God’s mistake. assembling on a hill, not far from here. for their Responsibility was great. to “wait and see”–or drastic measures take. no easy burden on a sentient mind. They studied every issue hard and long. In interfering, were they right or wrong? “The fires of Industry were burning high. to yellow-gray, without a hint of blue. bereft of leaves by acid-laden air. where ores were rooted out by Man’s machines. The seas were thick with oil and choked with waste. the wizards all agreed. They could not wait. In one more year, they’d be a year too late. till Saturn stood in quadrature with Mars. A crumbling stonehenge lay in heaps nearby. and entering its most malefic phase. and would, a fortnight hence, afflict the Sun. before the Moon arrived in Saturn’s Sign. from eating carrion killed by pesticide. whose species men destroyed, enriched the Broth. the world, before the Age of Cyclic Change. inspiring even wolverines with fear. to trap the mutagenic lunar rays. to mold them into effigies of Man. for beavers do not act from mere revenge. to place among the ruins, in a row. The sickled Moon emerged from Scorpio. The time remaining just sufficed for us. that some who heard them lost their sanity. from Ursa Major clear to Gemini. An angry roar of thunder shook the world. From sundered mountains, flaming rocks were hurled. and wished they’d never chosen their career. far-reaching changes in the future’s course. Then all subsided, in a pall of death. For forty minutes, no one heard a breath. except that certain Stars were rearranged. and was conjoined with Venus, in the west. were twisted into nameless new designs. was combust, having shifted one degree. according to their telescopes and books? that meddling with the Universe imparts. but knew they bore a lifelong moral taint. the Spell was woven. Humankind was cursed. The wizards, burdened with regrets, dispersed. another twelfth of all the human race. and outward shapes peculiar to each kind. to ruins, then to wilderness again. as rainfall rinsed the filthy atmosphere. across the asphalt deserts built by men. a role in which they showed their real worth. the world they once had labored to destroy. were further subdivided and refined. no longer under threat of genocide. from which we’ll never let them rise again! “But, as I said, I heard this long ago. the beaver, with a splash, was out of view.